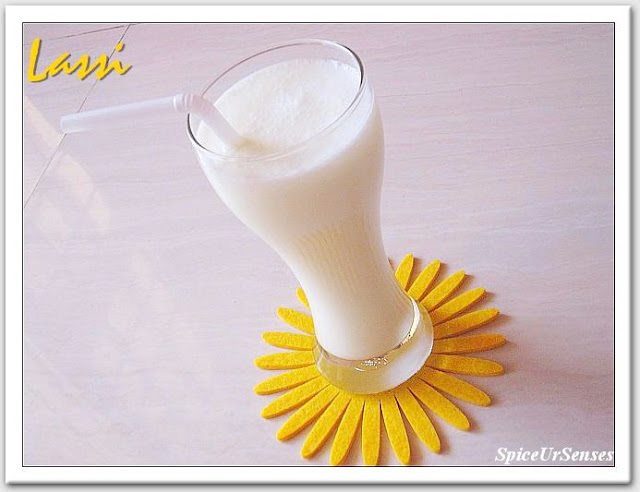 Lassi is a popular and traditional yogurt-based drink of India. Traditional lassi is a savory drink sometimes flavored with ground roasted cumin while sweet lassi on the other hand is blended with sugar or fruits instead of spices. This is one of the simplest and very easy way of making sweet lassi. There are many variation in lassi but i like this version because it does not take much time and it can be made with very less ingredients too.. In a deep mixing bowl, add curd, sugar and water. Mix all together till it is frothy. To blend the ingredients you can use whisk or hand bender. Serve cold. Refreshing drink.. looks absolutely perfect.. clear and perfect shots too !! 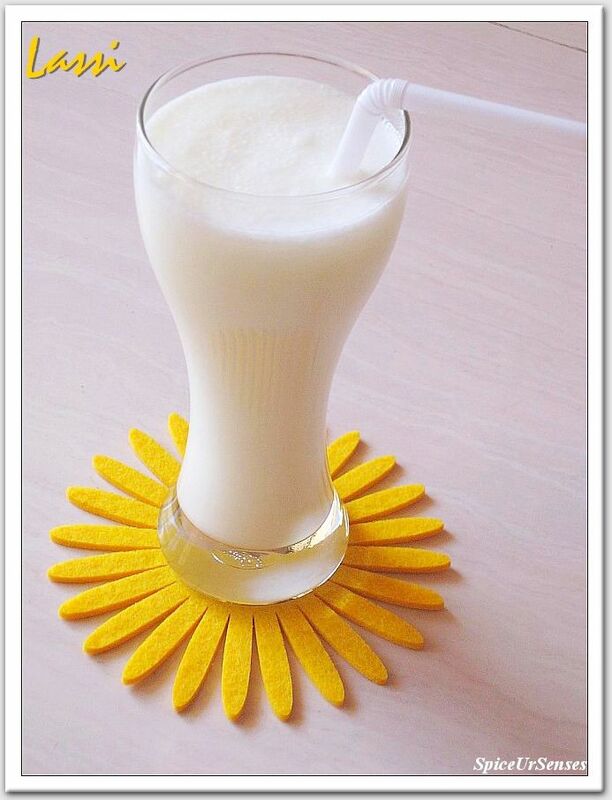 Delicious and refreshing lassi. Wonderfully prepared. Super refreshing and my kind of drink..
refreshing drink..nice clicks..Happy New year to you and your family. Happy new year such an yummy lassi..